The finest supplier, trader and exporter retailers of a highly commendable and diverse range of Designer Footwear, Adeshwar Exports, began its operations in the year 2006. Our innovative ideas and zeal to meet the distinct requirements of the clients have encouraged us to offer a huge array of Designer Slippers and Fashion Accessories in the nationwide markets. 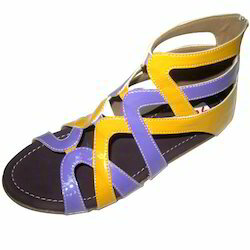 Our assortment of products includes Casual Footwear, Kids Footwear and Beaded Slippers. These products are famous among clients for their exclusive designs, marvelous appearance, trendy patterns, comfortable fit, and skin friendliness. Based on our state-of-the-art infrastructural base, we are able to we are able to provide our range of products with the blend of style and quality. By adhering to the international quality standards, we keep a close vigil on the production process with the support of the experts' team. 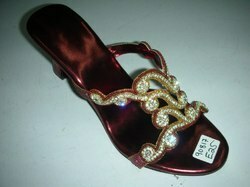 In addition to this, our Fashion Slippers and Accessories are duly packed & inspected by experts on time-to-time basis. Our experts also ensure the timely delivery of our final goods as per the promised schedule. We are exporting our products in UK, US, Canada and Dubai.